I'm looking to get a bumper made and wondered if you could PM the contact for your guy please? A thing of absolute beauty!!! Joeyjones1994 wrote: A thing of absolute beauty!!! Hi man, the Scirocco bumper looks stunning on the Caddy, yea. Makes me wonder if any one of you guys would be able to determine from what VW is my bumper from. 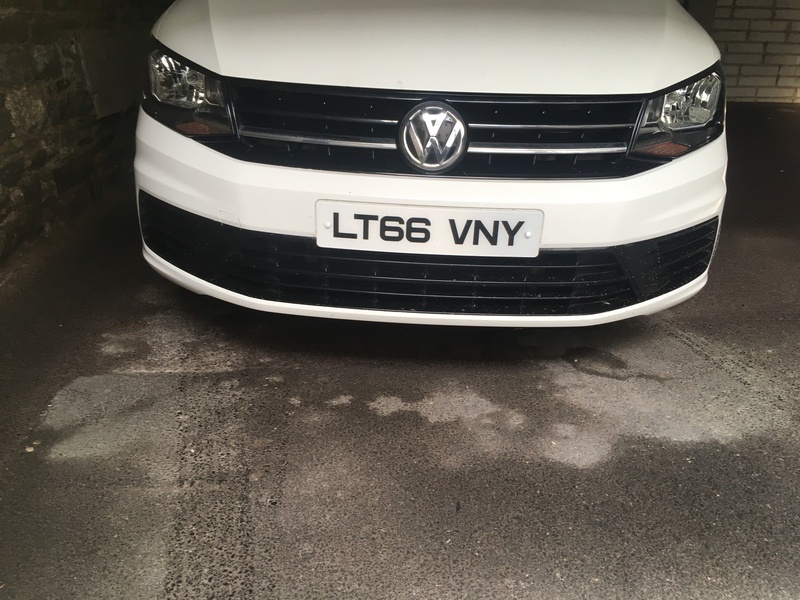 Bought it like this and want to add genuine front fogs to it. Maybe to revert to factory color coded Caddy 2k (2016on) bumper as I'd prefer that look? It’s just a standard caddy startline bumper. Just painted gloss black. Looks awesome !!! The blue finishes it off perfect Was the bumper much trouble to do or was it brought already fabricated ? No mate just masking tape. So time really. Just spent like 20 mins reading through this thread, and MAN it was worth every second! Your'e Caddy looks the bees knees brav! hats off to you for all the hard work, and effort you put into it. 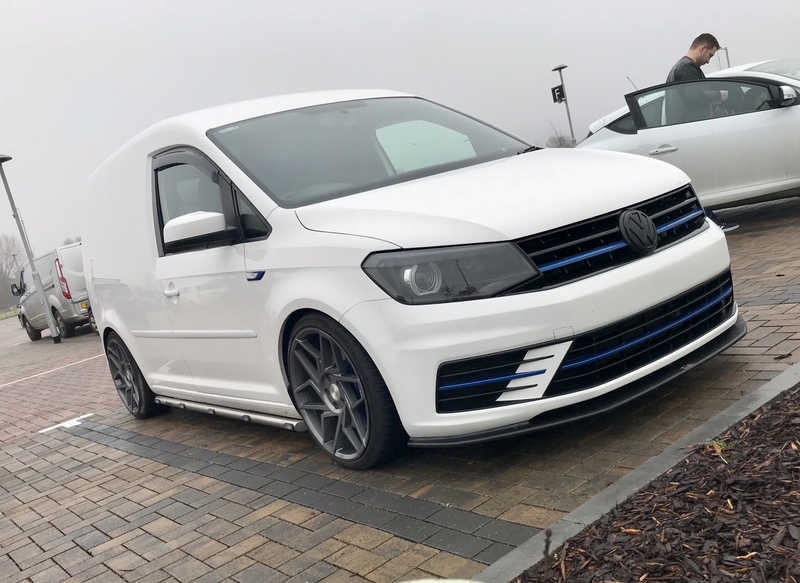 I'd be interested to have a chat with you as to how much work is required to make the custom bumper - as you stated it's part caddy and part MK7 right? I have always wanted to learn spray painting and have got myself a little compressor as a starter. Hopefully should be the proud new owner of a used Caddy soon, watch this space!! Well done once again sir, and thank you for sharing on the forum. Hi onetwentie so sorry for the late reply my friend and thank you so much for the compliments! 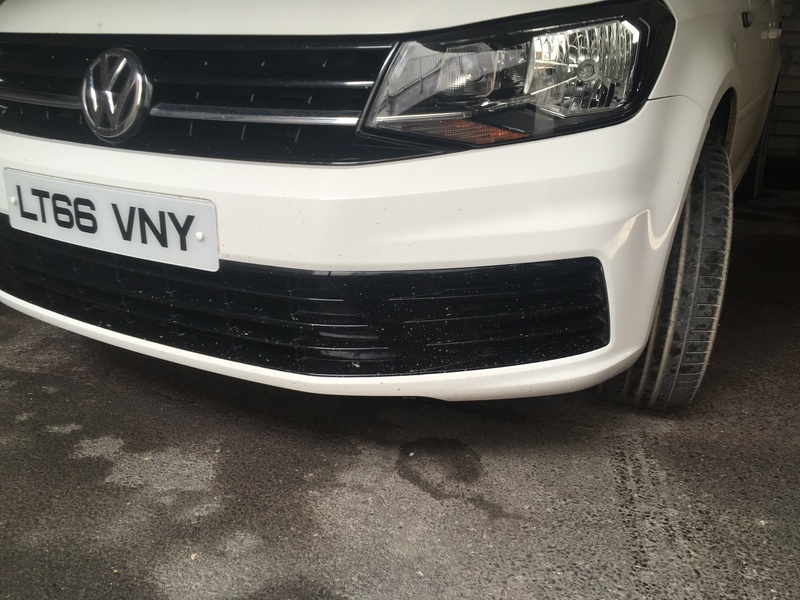 Any help i can offer is no problem mate, its quite a complex job to get right and many hours of plastic welding, bonding and forming filler before getting to the finishing paintwork. Last edited by Liam on Sun Feb 03, 2019 7:30 pm, edited 1 time in total.